How do I refund a transaction using ROAMmerchant? 1. Open the Transaction History screen by clicking on the Recent Activity button on ROAMmerchant’s App Dashboard. 2. You will now be presented with the full transaction history associated with your account. Find the transaction associated with the receipt you would like to view. 3. 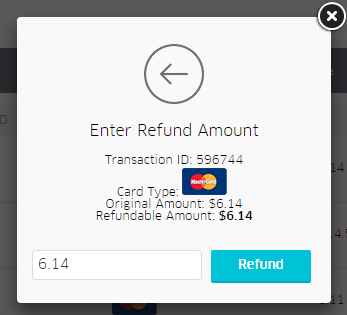 Once located, click on the Refund button in the right hand column, under Actions. 5. 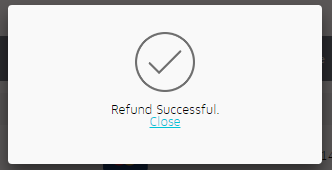 Type in the amount that you would like to refund, and click the blue Refund button to proceed. 7. 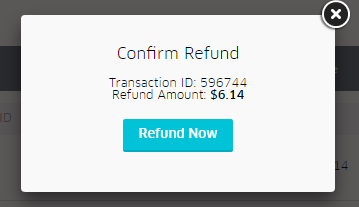 Once you confirm, you’ll be presented with a Refund Successful notification. Press the close button to return to the ROAMmerchant screen.